Classic Industries offers a wide selection of Rear End Components for your Chevrolet Bel Air. Classic Industries offers Chevrolet Bel Air Gaskets & Seals. Reproduction of the original leather gasket for the rear axle fill plug on 1958-64 Chevrolet models. Premium replacement rear wheel seal for 1957 Chevrolet passenger models. 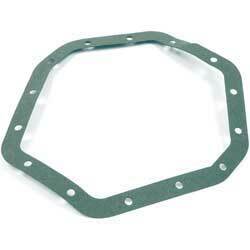 Third member gasket for 1958-64 Chevrolet models. This high quality, extra thick differential cover gasket for 12 bolt rear axles is manufactured to provide maximum sealing. Economy replacement rear wheel seal for 1957 Chevrolet passenger models. Premium replacement rear wheel seal for 1955-56 Chevrolet passenger models and 1956 Corvette models.